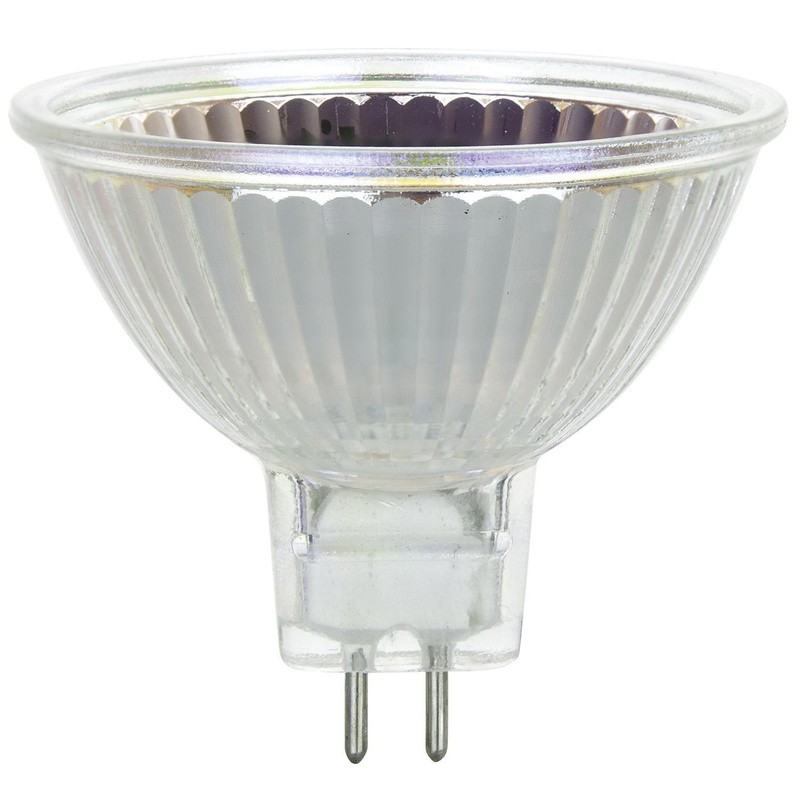 Sunlite 50-Watt MR16 2-Pin Halogen mini reflector bulb offers 1500-Lumens light output. This bulb has color temperature rating of 3200K and radiates bright white light to the surrounding. It has color rendering index of 100. Dimmable bulb has average life of 2000 hours. It offers flood light distribution at beam angle of 38-degree. This bulb has voltage rating of 12-Volts. It measures 1.952-Inch Dia x 1.756-Inch.